Lex Luthor has no super human powers himself. However, Luthor is a genius and financial wizard. He is one of the most powerful men on the planet and has access to all the technology developed by his company Lex-Corp and the wealth to buy anything he desires. One glance at Luthor’s I.Q. test results convinced his parents that their little genius would make them rich. They were determined he should excel but their soul destroying “guidance” bred a sociopath who engineered their deaths to capitalise on their life insurance. A budding astrobiologist, Lex then spent years searching for evidence of extraterrestrial life. His hunt took him to Smallville when he was 18. Lex befriended another seemingly alienated young man, Clark Kent. He turned his back on Smallville when a fire destroyed his lab and his scientific achievements, as well as his foster father. Refusing to take responsibility for the accident, Lex blamed the town for “letting the Luthor’s burn”, and to this day refuses to admit he has ever set foot in Smallville. 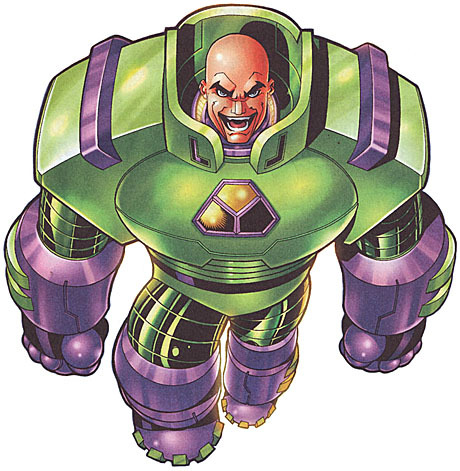 Years later, Lex appeared in Metropolis and built his technology company, LexCorp, into a powerhouse. Financial success led to political power, and he was considered the city’s most powerful figure. Then came the day that Superman appeared in the skies above Metropolis and turned Lex’s world upside down. Superman openly accused Luthor of being a criminal mastermind rather than a benefactor of mankind. Unwilling or unable to link this “meddling alien” with the boy he had known a decade earlier, Luthor swore to bring down the last son of Krypton.